Invicta FC 29: Kaufman vs Lehner from May 4th, 2018 at the Scottish Rite Temple in Kansas City, MIssouri. 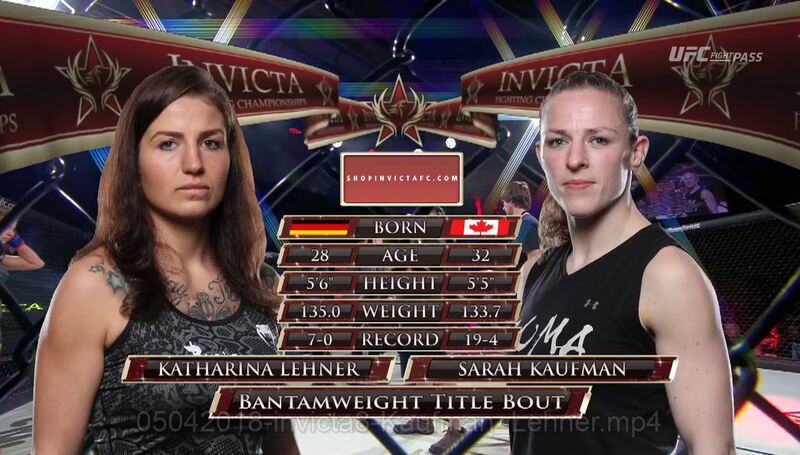 Sarah Kaufman vs Katharina Lehner Invicta FC 29 May 4, 2018 (22:25) Sarah Kaufman vs Katharina Lehner at Invicta FC 29 from May 4, 2018 in Missouri, USA. 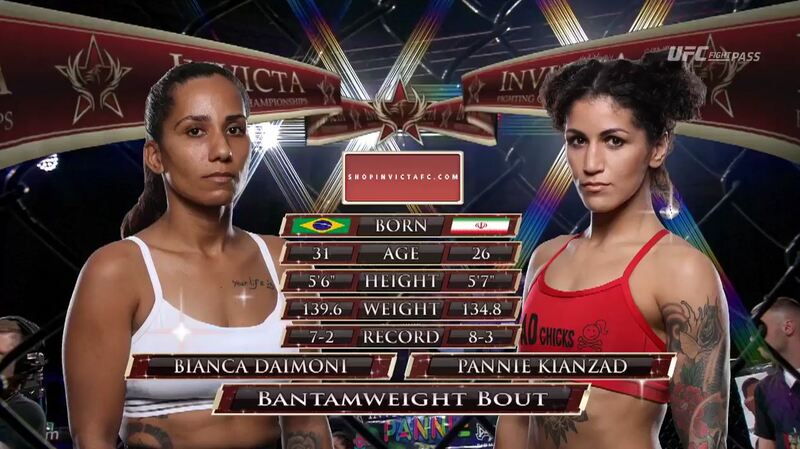 Pannie Kianzad vs Bianca Daimoni Invicta FC 29 May 4, 2018 (22:40) Pannie Kianzad vs Bianca Daimoni at Invicta FC 29 from May 4, 2018 in Missouri, USA. Pearl Gonzalez vs Barbara Acioly Invicta FC 29 May 4, 2018 (8:40) Pearl Gonzalez vs Barbara Acioly at Invicta FC 29 from May 4, 2018 in Missouri, USA. 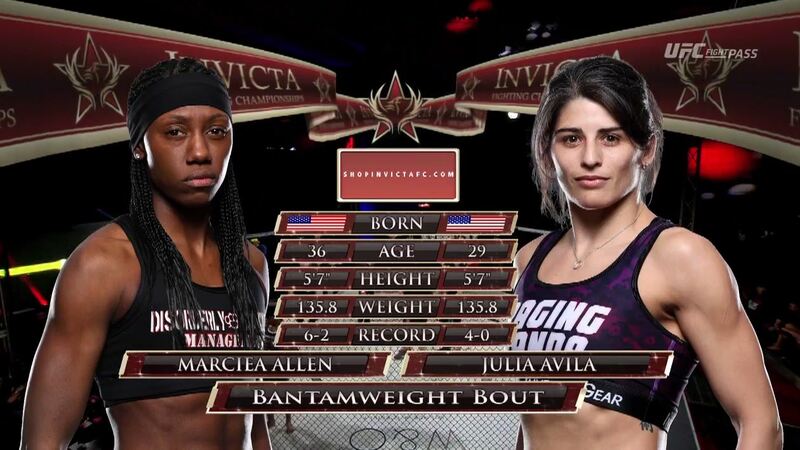 Marciea Allen vs Julia Avila Invicta FC 29 May 4, 2018 (5:54) Marciea Allen vs Julia Avila at Invicta FC 29 from May 4, 2018 in Missouri, USA. Liz Tracy vs Cheri Muraski Invicta FC 29 May 4, 2018 (21:52) Liz Tracy vs Cheri Muraski at Invicta FC 29 from May 4, 2018 in Missouri, USA. Lisa Spangler vs Sarah Kleczka Invicta FC 29 May 4, 2018 (21:12) Lisa Spangler vs Sarah Kleczka at Invicta FC 29 from May 4, 2018 in Missouri, USA. 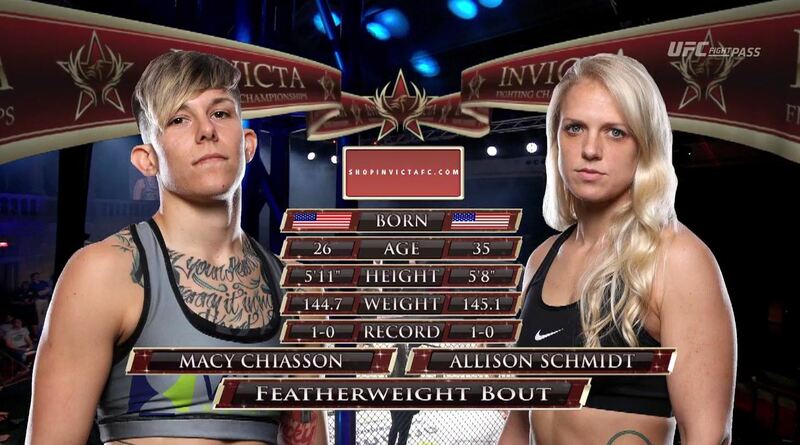 Macy Chiasson vs Allison Schmidt Invicta FC 29 May 4, 2018 (20:58) Macy Chiasson vs Allison Schmidt at Invicta FC 29 from May 4, 2018 in Missouri, USA. Helen Peralta vs Cheyanne Vlismas Invicta FC 29 May 4, 2018 (22:30) Helen Peralta vs Cheyanne Vlismas at Invicta FC 29 from May 4, 2018 in Missouri, USA.